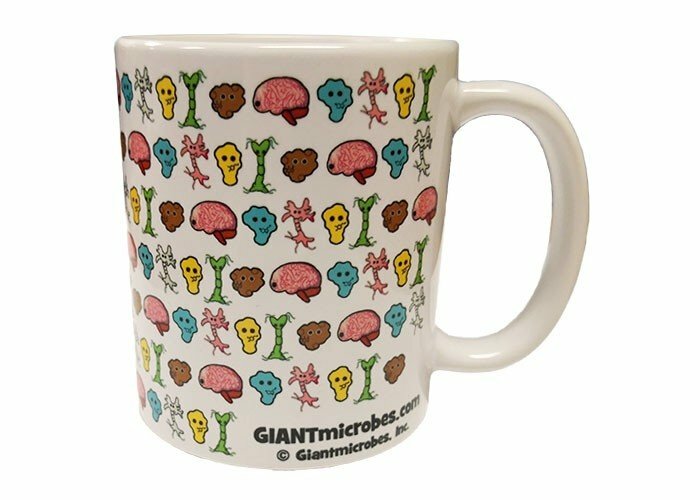 Brain Art Mug under a microscope! 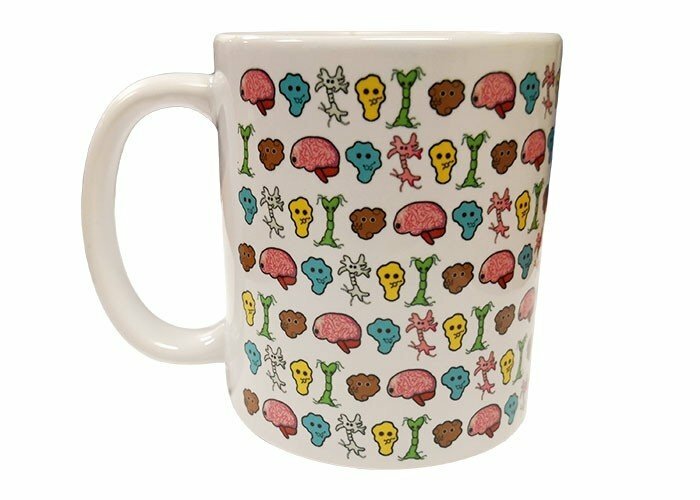 This brainy ceramic 11-ounce mug features your favorite brains, neurons and neurotransmitters. Seeing these colorful biological wonders will get you feeling so happy in both of your hemispheres. Holding this mug is sure to get your day off to a brilliant start. And sipping from it will bring mindful joy and neurological sparks of amazement to you and those you love!